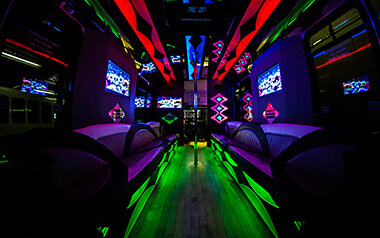 This 22 passenger party bus is one of the most popular vehicles in our fleet! 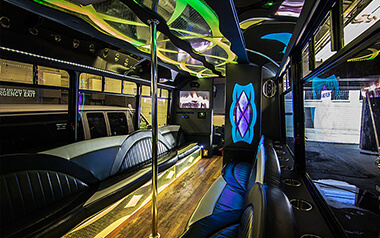 It's spacious, luxurious, and full of party-ready features! 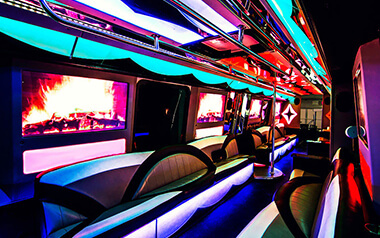 You can drink, dance, and watch television on this incredible limousine bus! 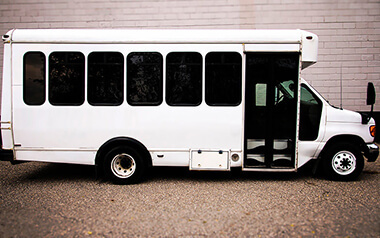 There's ample cooler space and pull-down shades for added privacy to the tinted windows.